NTFS Data Recovery Toolkit – набор инструментов для анализа проблем с NTFS разделов и файлов, и восстановление данных в ручном и автоматизированном режимах. 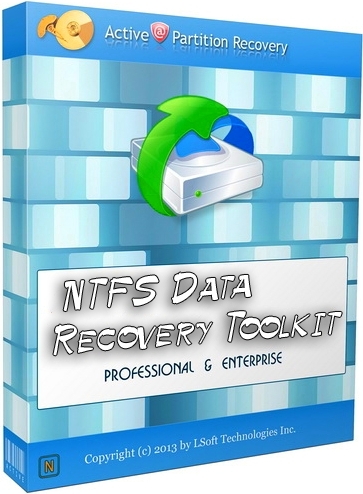 NTFS Data Recovery Toolkit is a set of tools for analyzing problems with NTFS partitions and files, and Data Recovery in Manual and Automated modes. Manual mode allows you to analyze disk’s structures and define the problem using included freeware Disk Editor. You can fix the problem using either Disk Editor, or included freeware Partition Manager, or Microsoft Windows(c) system utilities. Automated mode simplifies your work by avoiding low-level disk surface analysis, and lets you concentrate on a recovery of specific data using included File Recovery and Partition Recovery software tools. How to recover NTFS – step by step guide for problem discovery and fixing in manual and automated modes. Examples provided. Disk Editor – freeware software for viewing, inspecting and editing content of raw disk sectors on USB and HDD disks, Floppy and CD/DVD/Blu-ray media. File Recovery – software utility for scanning disks and detecting deleted or damaged volumes and files, and for recovering deleted or otherwise lost files on NTFS.